Between grocery shopping, Jillian in January-ing, and pipe drama last night, (OK, and a mini American Horror Story marathon), I kind of ran out of time to prepare a post for today. 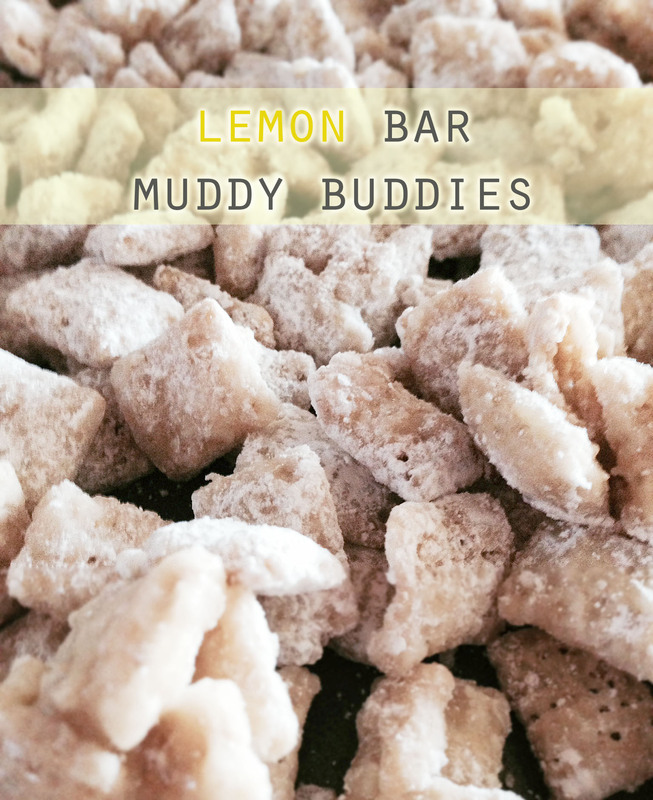 Instead you’re getting a link to a delicious recipe: Lemon Bar Muddy Buddies. I made these Saturday night for Dave’s sister’s birthday, and I think I may like them better than the original flavor. The recipe yields eight cups of muddy buddies, and I figure I ate at least five myself. But they’re made from RICE chex, so they’re obviously health food, right? Right. This entry was posted in Food, Recipes, Sugar and tagged Food, recipes on January 21, 2014 by heatherhomefaker. These look crazy delicious! I’ve always called these treats “puppy chow”. When I said that at work people looked at me weird. Guess that’s the risk in moving across the country with regional terms. That’s so funny; that’s what I’ve always heard them called too but when I brought in the leftovers to the office and called it puppy chow, they totally made fun of me!